In an era when women’s rights to equality are recognised, if not yet won, why do female athletes face such challenges finding gear that fits and performs as well as their male counterparts’? Over the past 100 years, the design of sports uniforms has been evolving at top speed. There was a day when football players wore rugged cotton crewnecks, woollen socks and heavy cleats that weighed them down, and their shirts were devoid of sponsor logos. Today they wear kit that is lighter and more breathable than ever, and sponsors pay big bucks to be seen on a team jersey. Uniforms are designed down to the very structure of the fibres for maximum range of motion, minimum skin friction and optimal body temperature. Boots have specially designed studs specifically configured for firm ground, soft ground or artificial turf, ensuring faster turns, better kicks and fewer injuries. Nor is there any end in sight to the improvements that are yet to be made. Sports brands are in a race to design ever better gear to help athletes run faster, jump higher, swing harder and look better while doing so. When it comes to the design of team sports uniforms for female athletes, however, it is often quite a different story. Karin Legemate, a retired Dutch professional football player, recalls her experiences with sports uniforms with a mixture of disappointment and wonder. Professional athletes playing for a sponsored team are contractually obligated to wear the sponsor’s uniforms and gear. ‘At AZ, a first division club, our sponsor was Quick, a sports brand that does not have a line for women. As a result, we had to play in the smallest men’s size and in kids’ shoes.’ Because competitions are waged mentally as well as physically, Legemate experienced it as a huge impediment. ‘You stand on the field in a bag. It just looks wrong. It feels wrong. You are an athlete, you want to look like one. So mentally, you are already at 0:1. When you get a free throw, your shirt slides up and exposes your belly. It’s awkward.’ Your standard of play goes down too. ‘The children’s shoes don’t have aluminium studs. When you are playing on grass, you can’t turn as well, you slip, you get injuries quicker, you have to hold yourself back.’ It was not until she became a member of the Dutch national football team that she first experienced a great kit designed for women by the official sponsor, Nike. 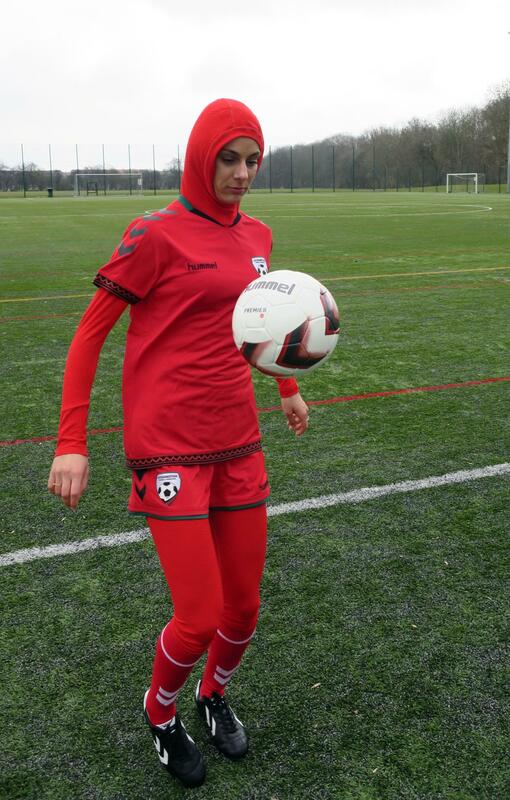 Most sports brands originate in the West, and within the industry there are tremendous hesitations, misgivings and dilemmas around designing sports clothing for Muslim women. Is designing sportswear with head coverings a way to enable these women to play sports, or does it play into the hands of those who suppress women’s rights? Princess Reema Bint Bandar Al Saud, Vice President of Women’s Affairs at the General Sports Authority, Saudi Arabia, had to make some quick decisions for the team of female athletes participating in the Rio Olympics in the summer of 2016. Because the decision to enter a women’s team—a first in the country’s history—was made quite late, the athletes were offered small sizes of the men’s uniforms that the national team sponsor had created, but even if they had received uniforms designed for women, Princess Reema doubts that they would have been suitable for her team. ‘The sponsoring brand does not yet design for women who cover their hair. In our culture, women cover themselves in public. Covered is also how we dress for formal occasions. 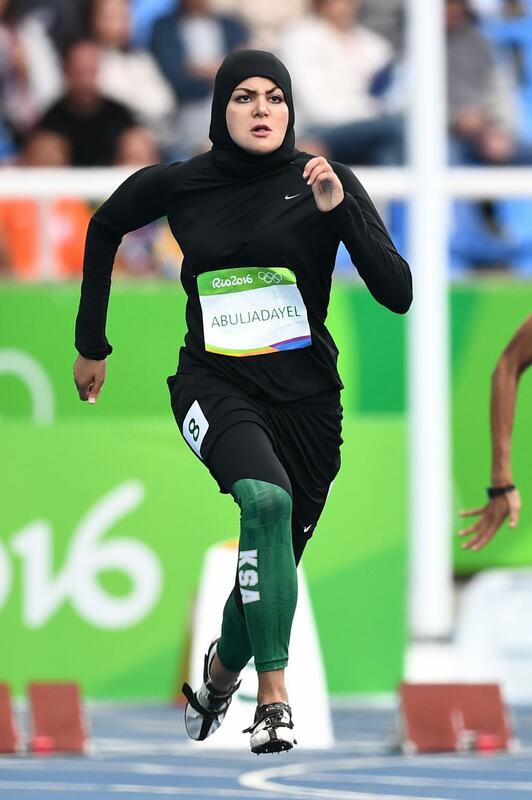 The Olympics are a formal occasion.’ Princess Reema wanted to both show the world that Saudi women could compete with the best, and show her country that sending women to the Olympics was a great idea, but in order to do so, she had to find a solution that would allow the women to perform at world-class levels while also being covered according to societal norms. She turned to a high-street brand for off-the-rack burkinis and hijabs. ‘We have athletes competing in the marathon. They need to have a uniform that is as aerodynamic as possible and allows them to regulate their body temperature, but our athletes cannot wear a skin-tight body suit even if it covers the entire body and our hair. We need something that is modest and yet enables us to compete with others without being at a disadvantage.’ It is a challenge waiting for the right sports brand or the right designer to take on. Sep Blatter is not alone, and women’s teams across the world have to live with the consequences. 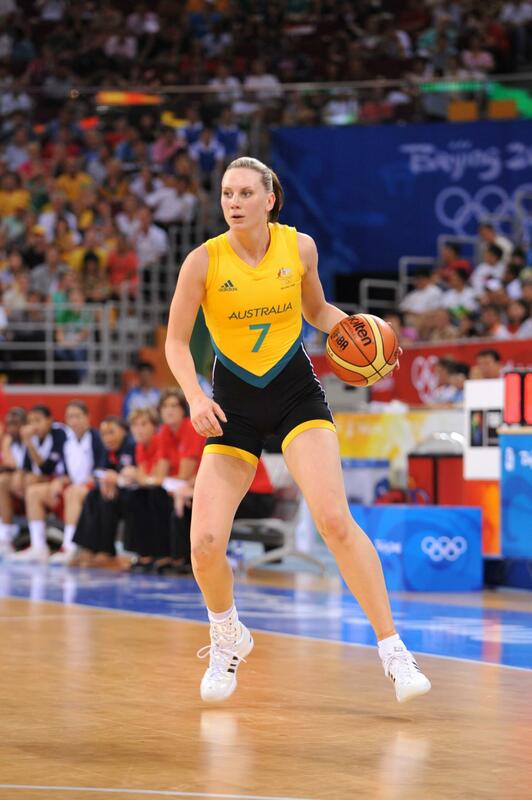 In 2008, the Australian women’s Olympic basketball team successfully protested the skin-tight uniforms they were provided with by their management and sponsors. They demanded looser fitting uniforms to reduce the ‘perv factor’, as one player called it. 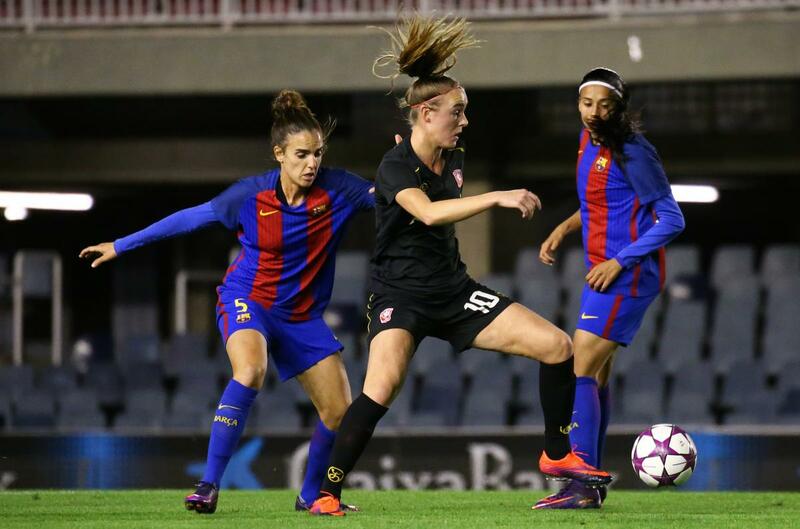 Despite the fact that more women are playing and watching sports, and that general viewership for women’s sports is increasing, women’s sports uniforms in most parts of the world remain stuck in a vicious circle. Without evidence of demand, sports brands won’t invest in creating professional gear for women. Without high-quality gear, fewer women play and fewer still play at their best, making games less exciting for spectators and less interesting for sponsors and sports brands, closing the circle of low demand. Stentler is not alone in seeing massive opportunities for women’s sports uniforms. 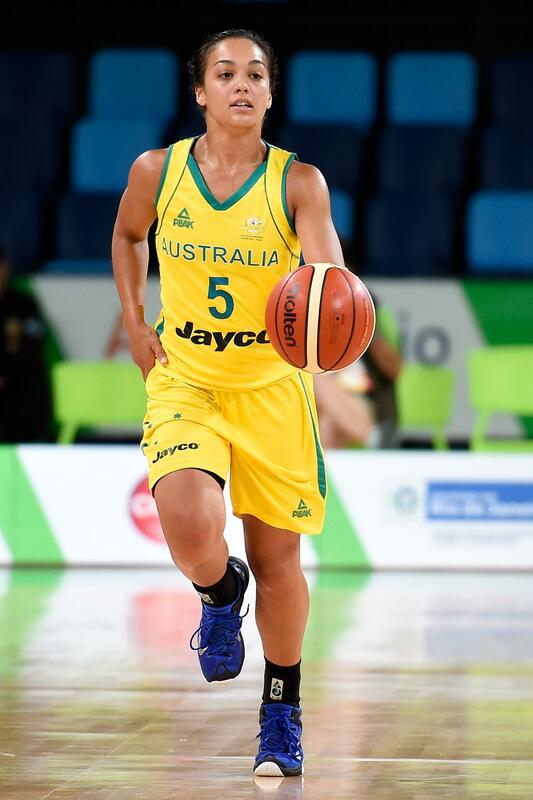 With the availability of great sports gear, the vicious circle female athletes have found themselves in can become an upward spiral: the better the professional gear, the better the player. The better the player, the bigger the audience. With bigger audiences comes more sponsorship, allowing more women to have a career in sports. Anne Miltenburg is a designer based in Nairobi. An inveterate traveller, she has lived and worked across Europe, and in Mali, South Korea, Australia and the US.